API-only CASB that deliver only management. Such CASB use API access to SaaS apps to remediate after data-leakage events. Multi-mode Next-Gen CASB that deliver management, security and Zero-Day protection. Such CASB dynamically adapt to deliver protection for known and unknown data leakage risks and malware threats, on any app. API-only CASB offer management capabilities by remediating data-leakage events after the fact via the APIs provided by some applications. API CASB operate “out-of-band” not real-time. 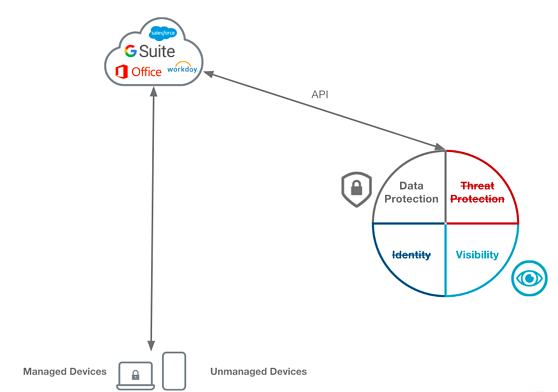 Users directly access cloud apps and data from any device, managed or unmanaged, without restriction or control. API CASB use the applications’ API to analyze the data-at-rest in the cloud. Based on policies set by the administrator, files that are in violation may trigger visibility logging alerts. Alternatively, files that are in violation may be quarantined, or have sharing permissions revoked. Mult-mode first-Gen CASB offer both API mode and proxy mode. 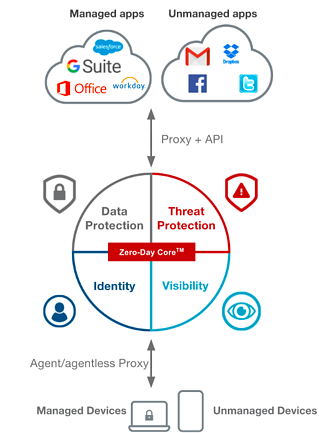 Operating in proxy mode typically requires an agent on every device, and is not suitable for unmanaged personal devices. 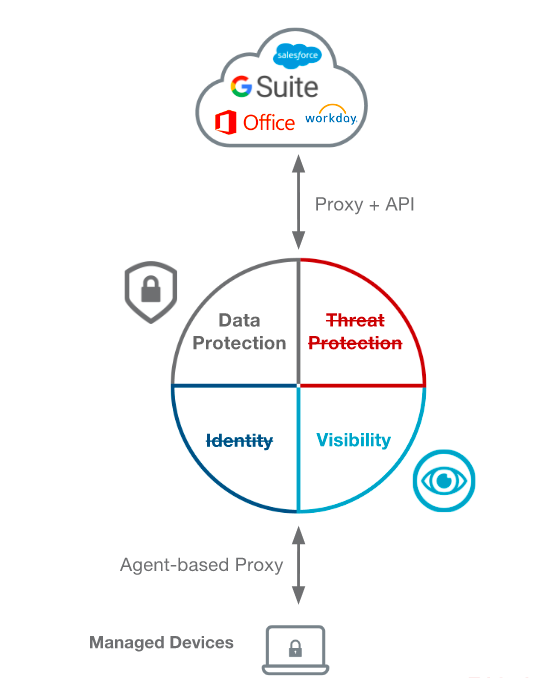 Proxy agents may also interfere with existing infrastructure such as Secure Web Gateway proxies. Multi-mode first-gen CASB can also identify “ShadowIT” cloud applications used in the enterprise, by checking against a manually curated index of cloud applications. Multi-mode Next-Gen CASB deliver management, security and Zero-Day protection. Such CASB dynamically adapt to deliver protection for known and unknown data leakage risks and malware threats, on any app. Such CASB have dual architectures and can operate in agent-based or agentless mode. Agentless mode enables rapid deployment, and is fully interoperable with existing infrastructure such as Secure Web Gateways.